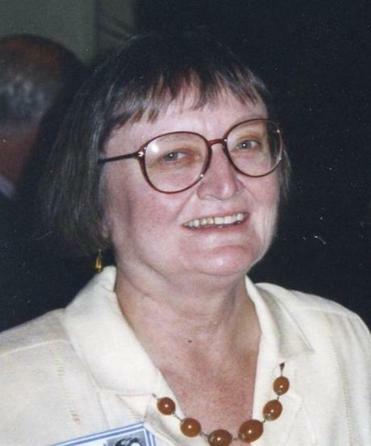 Mrs. Clymer at the 40th reunion of her Needham High School class in 1995. Thirty years later, she brought that tireless energy to bear on court actions in Vermont after a drunk driver killed her only child, Jane emily, an 18-year-old University of Vermont junior. They wanted their daughter’s 1985 death to heighten the legal responsibility of drunk drivers and establishments that serve alcohol. Six years later, the Vermont Supreme Court set a precedent by ruling that the Clymers could collect punitive damages from restaurants that served the driver. In a reversal of previous practice, they were allowed to sue for loss of companionship of a child, even though their daughter was an adult. They used the money from the lawsuits to create a scholarship in Jane emily’s name that has since helped about 50 women attend the University of Vermont. Mrs. Clymer, whose calm resolve in a time of crisis impressed those who knew her best, died in her Washington, D.C., home Feb. 10 of complications from a stroke last fall. She was 75. “I’ll always remember that she had that strength, and it was amazing,” her older sister, Jane Fessenden of Falmouth, said of her sister’s efforts after the death of Jane emily. The couple’s lawsuit, and Adam Clymer’s poignant writings in The New York Times, prompted a reappraisal in Vermont of how drunk drivers and their victims were treated. Jane emily spelled her middle name with a lowercase E, possibly as an homage to the poet e.e. cummings, though she never said for sure. After she was killed, some of the sparkle that defined Mrs. Clymer since childhood seemed to fade, friends said. When she herself was a girl in Needham, Mrs. Clymer had excelled in music, sports, and the classroom. Her mother, the former Margaret Wood, had taught physical education, and young Ann Wood Fessenden was athletic, too, playing field hockey, basketball, and tennis. Mrs. Clymer also took quickly to learning to play the piano. As an adult, moving with her reporter husband from one posting to the next in the United States and abroad, Mrs. Clymer taught piano in schools and privately. She also had been close to her father, Donald Fessenden, a night editor and rewrite reporter at the Boston Herald who was home during days to drive his daughters to activities. After high school, Mrs. Clymer chose Vassar, in Poughkeepsie, N.Y., rather than Wellesley College because “she was afraid she’d run into her mother across the street shopping,” Adam said. In college, as in high school, she was known to all as Fess, a shortened version of her last name. At Vassar, Mrs. Clymer studied music, a major that offered more regular hours than Sokol, a theater major who returned late to their dorm room. If Sokol tried to study past an appointed hour, Mrs. Clymer pulled a golf club from under her bed and, without rising, reached over to press the room’s push-button light switch. Graduating in 1959, Mrs. Clymer joined Sokol, who was from California, to work at a Harrah’s casino at Lake Tahoe, on the Nevada border. Mrs. Clymer, who had met Adam Clymer when he was dating one of her previous Vassar roommates, graduated from the Harvard Graduate School of Education with a master’s in teaching in 1961, the same year she married. His work as a reporter brought them to live in places such as Washington, D.C., Virginia, New York City, Moscow, and India. “She was always so good at sending me photographs of where they were all over the world,” Sokol said. At stops along the way, Mrs. Clymer worked at the Brooklyn Botanic Garden in New York and volunteered at the National Arboretum in Washington, D.C., where the couple settled more than 20 years ago. Mrs. Clymer will be buried in a family plot in Townsend, her father’s hometown. The legacy she and her husband built from their daughter’s death, meanwhile, continues at the University of Vermont. The Clymers designed the scholarship to reflect the life and college experience of Jane emily, who was involved in volunteer work, and whose academic record improved after a somewhat hesitant start. Until her stroke last fall, Mrs. Clymer took pleasure in meeting recipients of the scholarship named for her daughter. “We get letters from these students that are very touching: ‘Thank you for letting me stay in college,’ ” her husband said. Correction: Because of a reporting error, the burial information was incorrect in this obituary on Ann Clymer. Mrs. Clymer will be buried in a family plot in Townsend.